Whether we're talkin' favorite Disney Princesses or 2 Broke Girls characters you'd most like to kick in the shin (... all of them? ), every choice you make says something about you nowadays. 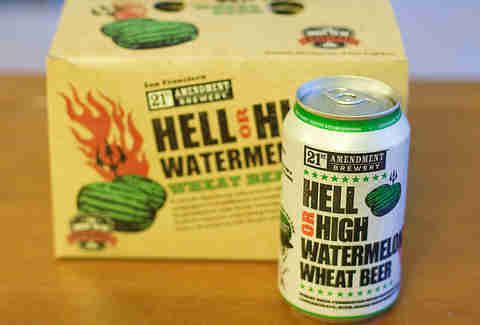 Hell, you can’t even order a local craft beer without it holding a deeper significance. 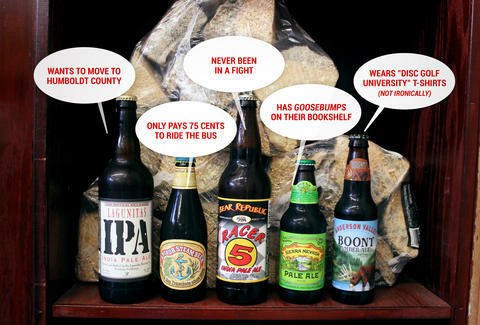 No, really though, you can't: here's everything your NorCal beer of choice says about you. You’ve been drinking craft beer for a long time. Like, "last time the 49ers won a Super Bowl" long. Cardigans and argyles play prominently in your wardrobe, and you own several pairs of reading glasses. Although you may or may not be smoking a corn cob pipe at the moment, you find the notion of such quite appealing. When your friends visit from out of town, you take them to the most important tourist destination you know. It’s not some cheesy prison in the middle of the bay. 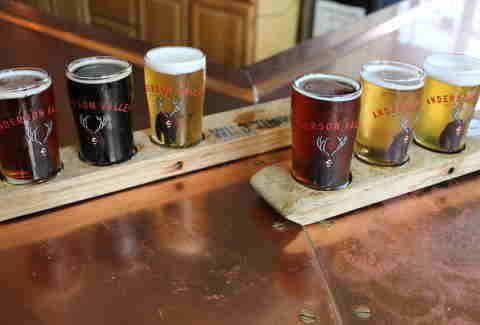 It’s a free brewery tour in Potrero Hill. You really like the Giants. You also really like to drink before Giants games. And you don’t mind fruit in your beer. Because, hey, who doesn’t like fruit? You call your craft beer shop “Safeway” because you live in the SOMA or the Marina. Either way, you are horribly overpaying for rent. Everyone in this town does, you say? Yes, but like you’re really, really overpaying. You're also very easily excitable and jump at any chance to do a keg stand, if offered -- an opportunity which, oddly, still figures frequently into your weekends. When someone tries to envision a beer geek, a picture of your ponytailed, bespectacled head comes to mind. Just kidding, no one tries to picture beer geeks. But it’s not for lack of trying on your part. You love to live-Tweet every sip of the barrel-aged beer in your snifter to your Twitter followers -- all 17 of them. You apply the word "terroir" to beer. You know what "terroir" means. You can smell the difference between an indica and a sativa. Also, you know what indicas and sativas are. If someone could make beer out of marijuana, you probably wouldn’t leave your house ever again. Except for when Phish returns to the Civic Center. Or you need 13 slices of pizza. You like to wait in line for things. You’re an early adopter. In fact, you’re in line for next year’s iPhone 7 release right now, aren’t you? Pic on Instagram, or it didn’t happen. 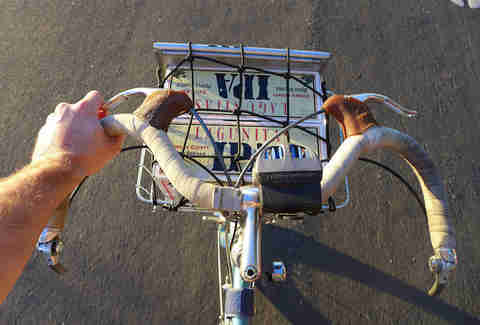 Now that you’ve peddled your fixie down to Dolores Park, you need to wet your finely waxed handlebar mustache with something worthy. And since there’s only so much irony to extract out of that can of PBR, you might as well occasionally drink something that you actually want to drink. Although MateVeza has slowly grown into a neighborhood mainstay, you can still enjoy it with a self-aware display of confidence. Because you were drinking Yerba Mate with your beer long before it was popular. Plus, if you get full, you can use it to oil your bike. Coming from deep in the backcountry, you’re as close to a "redneck" as we get in these here parts. Thankfully, these parts being Northern California, you won’t drape yourself in a Confederate flag or sleep with your cousin, but you probably do drive a beat-up pickup that could use a new muffler. A flannel and overalls is suitable attire for a night out in the town. Hops, man. Cause, you know, like, hops. In good company with many a West Coaster, you enjoy your beer super bitter, but you’re also practical enough to put something other than Pliny the Elder in your pint glass. 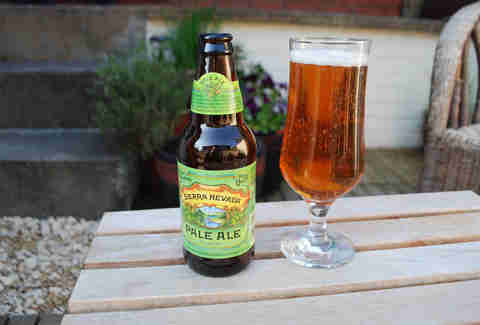 Who’s got time to track down an elusive IPA? You just want to quench your thirst, dude. As a genial, wholly uncontroversial human being, you would make a reliable, if somewhat dull life partner. You are a child of the ‘90s. Will Smith will always be the Fresh Prince, you owned a Sony Discman -- with skip protection! -- and the first time you drank a beer from a pint glass and not through a funnel, it was Sierra. The fact that the original gateway craft beer is still your go-to suggests that you're not exactly the adventurous sort. You know what you like and you stick with it. Switching things up for you means getting your double double "Animal Style". And when it’s time for a new computer... dude, you’re getting a Dell. Three letters: IBU. Ever hear of that thing called balance? No, of course you haven’t. Because you live your life to the extreme, and you want your beer to taste like a rusty tin can. You anxiously await that ever-elusive septuple IPA: Hoptoproctologist. That’s a buttload of hops, right there. Shhh. This is your local, little secret. Because you support only small, independent businesses... like, uh, La Boulange, and, um, In-N-Out. You’re a rugged individualist. The Teddy Roosevelt of the 21st century. Speak softly and carry a big sixpack. You get down on easy-listening classics of the '80s, with the Hall and Oates Pandora station on heavy rotation. Yet your good taste in beer is belied by a questionable choice in living area. Sure, rental prices are cheaper and parking is easier, but the Outer Sunset? Really? Come on, guy. Brad Japhe is a professional drinker and craft beer consultant. Which means he has a big belly and a small income. When he's not waiting in line for Pliny the Younger, he's bitching about the mindless lemmings who are. The easiest way to cyber-bully him is on Twitter @braphe, or in an AOL chatroom, which he still accesses through his mom's dial-up modem.